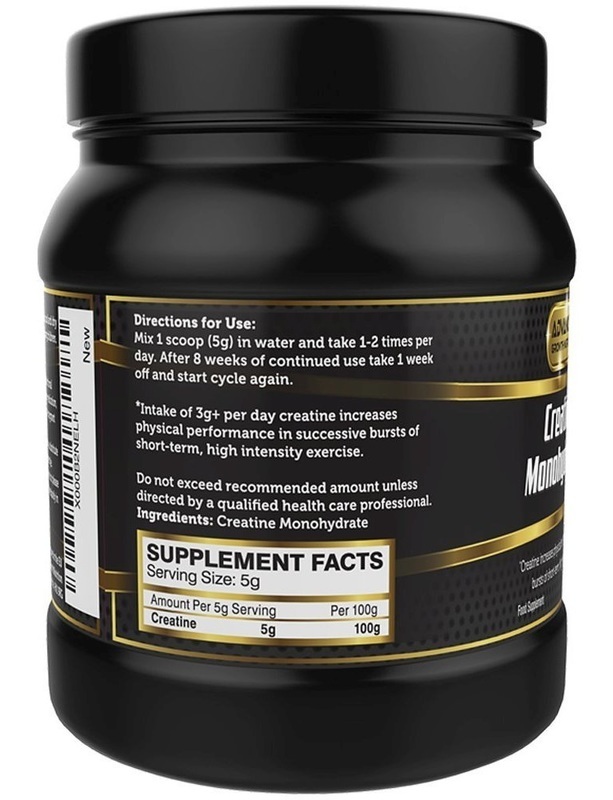 Creatine Monohydrate is a classic body builder supplement, which really can help just about anyone who wishes to improve their athletic performance whatever their sport. Since it is a naturally occurring substance, produced by the human body and present in muscle tissue, supplementation is beneficial in various cases: vegetarians need it because meat is our principal nutritional source; athletes use it to enhance both body mass and performance; and anyone who is physically active finds it beneficial to replenish what they use up during workouts. It works well to help build lean mass (muscle) but is also invaluable in fast-twitch muscle efforts, such as speed events requiring sudden bursts of energy. Running comes to mind, but also sprinting in sports such as swimming and tennis. My husband started using Creatine several months ago, and has found that the main difference between brands is how easily it dissolves which, in turn, affects how well it is absorbed. When we were offered a sample of this product, we were very interested to see how it would compare. The standard recommendation is to take 3-5 g of powder in a sports drink or diluted with water just before and/or right after a workout. This dose can be taken up to twice a day, but most people only need it once a day, unless they are engaged in high effort activities. After 8 weeks, one should stop taking Creatine for a week, before starting the cycle again. 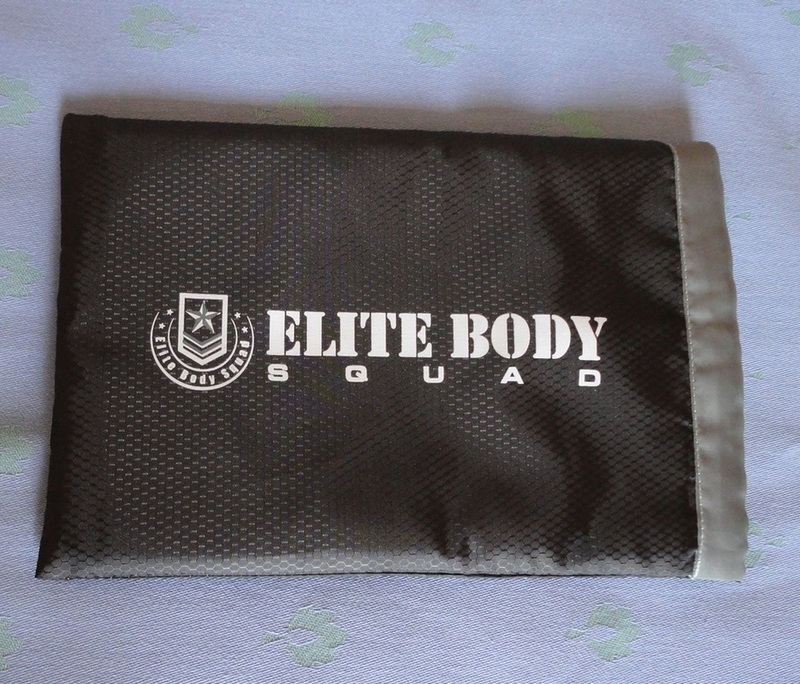 The brand sold by Elite Body Squad is Advanced Growth Nutrition and the tub contains 300 g (enough for 60 doses or 60 days at the rate of 5 g per day). The tub is much more convenient than resealing a pouch, which sometimes proves impossible to do. One thing that was apparent immediately from the first use was that this supplement is very fine in texture and mixes very easily without clumping. My husband adds it to his protein shake but the powder can be added to a juice, or simply to water and shaken up a little in a shaker. Taken with milk, there is no noticeable taste and he has found it to be very digestible. After only a couple of weeks, he is noticing a definite effect of feeling balanced and energized throughout the day, with plenty of stamina to get through his workout without fatigue or a post-workout drop in energy. 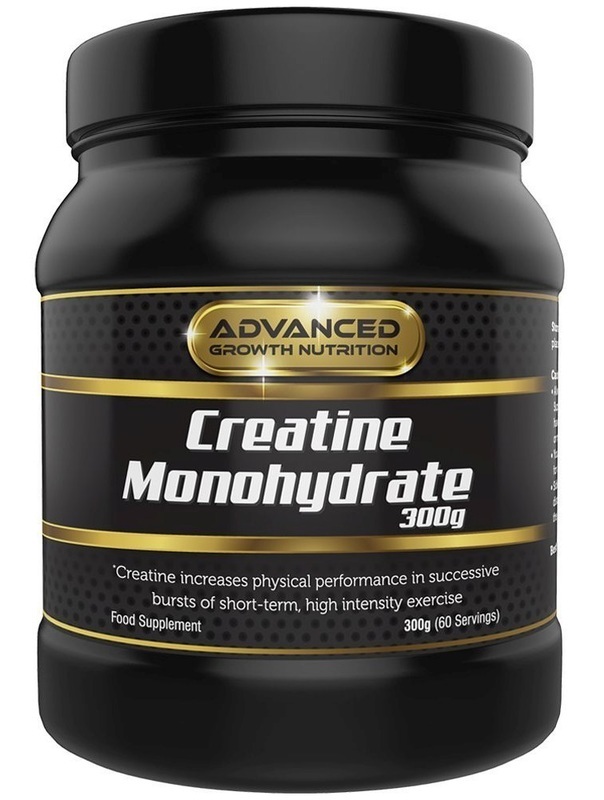 Based on his results, I would recommend this brand to anyone who is looking for a cost-effective way to add high quality Creatine to their diet. I received a complimentary product for the purposes of evaluation and review. 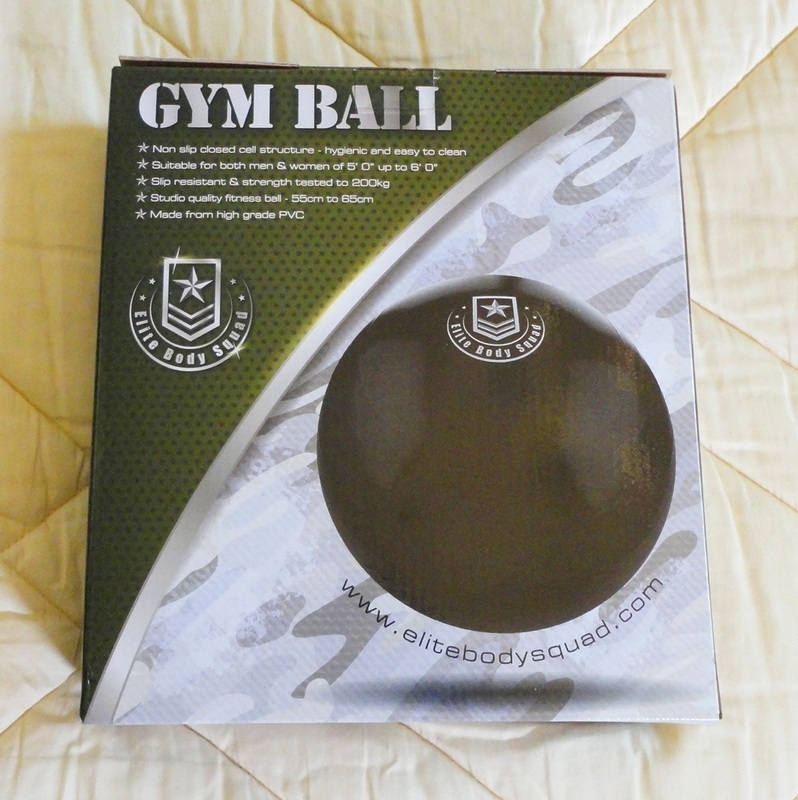 I was new to this training aid and accepted this Exercise Ball with curiosity and high expectations, based on the impeccable quality of other items from Elite Body Squad. I am very impressed with the toughness and good looks of this product. 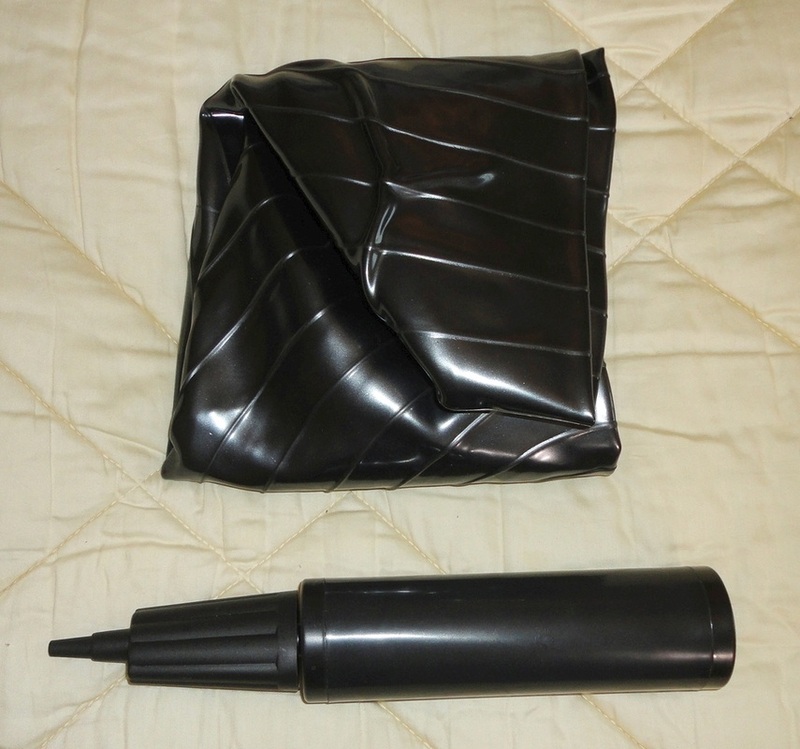 It arrives deflated (obviously) in a medium-sized flat box, complete with a sturdy hand pump and instructions to pump it only partially the first day, and then top it up after 24 hours. Using the provided pump was very easy, if a little strenuous and, given that we are both beginners at this, we chose to stop once the ball felt like it still had a little give. 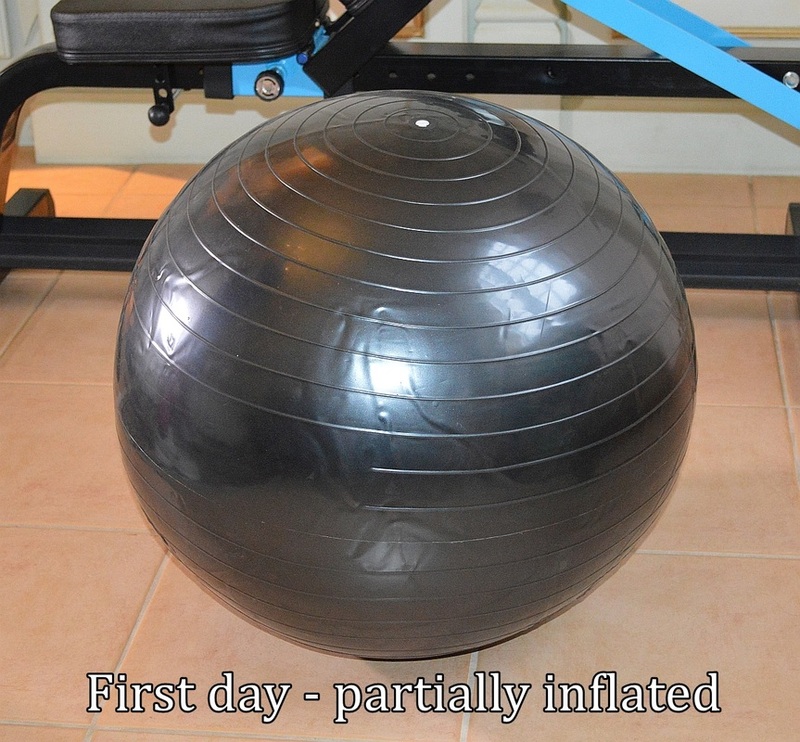 That is the advice I found in exercise videos using a Gym Ball, and I have to agree that it makes the initial stages much more manageable, as a lot of balancing goes on while you get used to the routines. While there is a lot of instructional material available on line, I thought that the PDF Manual was a nice added bonus and very much in the spirit of great customer service that this company provides. They are fitness enthusiasts, not just merchants, and they will answer any enquiry with laudable dedication. My husband jumped right in with some crunches and progressed quite quickly to some impressive-looking stuff that, he assures me, gets easier as you do it. I took it a bit slower since I had just overdone something and my thigh muscles were in agony, but this is the beauty of this training aid, you can use it in so many ways and it basically adds a level of complexity and effectiveness to most floor exercises. There are literally hundreds of ways to use it, it's an absolutely brilliant multi-purpose, versatile tool to target every muscle group in your body. But back to the product itself. After a few days of familiarization, we pumped it a little more, and then just used it. It has remained inflated over the last month without any need for top-ups and it gives me then impression that we could make it even bigger. I measured it roughly (it's hard to do accurately) on the second day and it was already pretty close to the advertised 55 to 65 cm in diameter. I'm 5'8”, my husband is 6' tall, and this ball works well for both of us, size-wise it's just about perfect for our requirements. I like the little ridges that improve grip and I think the shiny black colour looks really cool. My cats also want to play with it but I'm not letting them. I have tiled floors in every room and area rugs here and there, but doing floor exercises on my carpets is not something I would recommend. 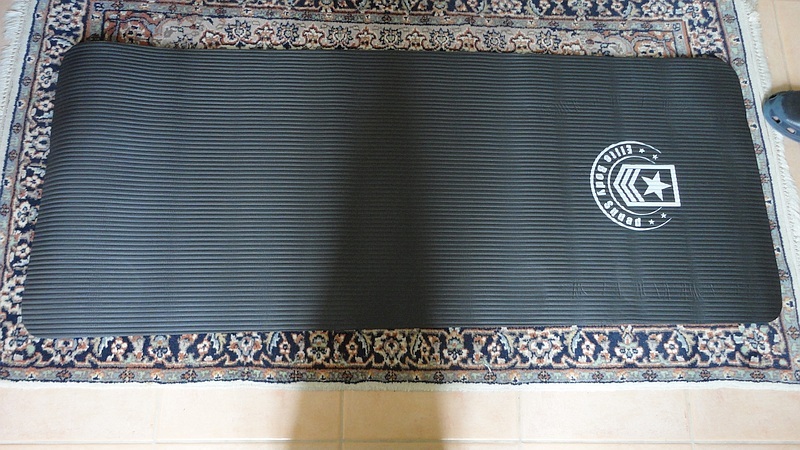 I've tried other brands of yoga mats but, while some come in cute colours and are very light to carry around, they don't do much to cushion my bones and I see them as little more than a hygienic layer between me and the floor. When this mat was proposed to me for evaluation and review, I was delighted to put it to the test. 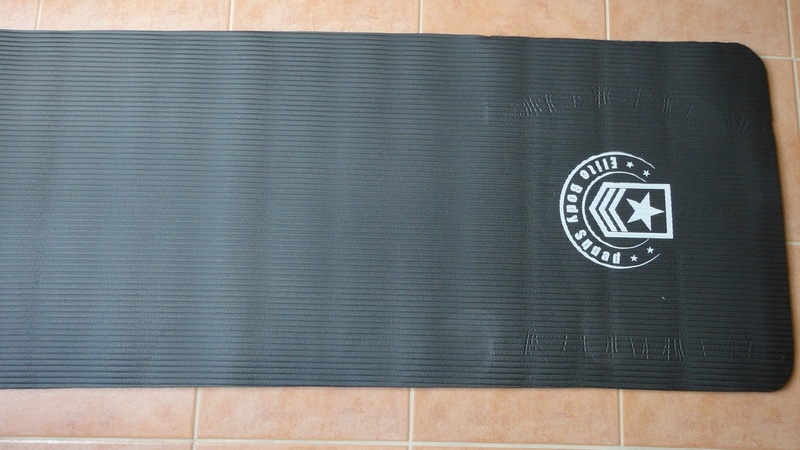 For my requirements (a little yoga and stretching exercises), this sturdy mat is easily the best exercise mat I've come across. The dense memory foam gives me a much more comfortable experience, especially when I'm kneeling or doing a shoulder-stand. 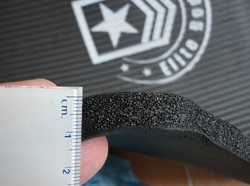 The difference between your average 4-5 mm thick mat and this one (a genuine 10 mm, which I thought looked even thicker) is more than double the comfort. It's more like: no comfort, versus very comfy. I actually like the black colour and the crisp white logo. For me this is a functional fitness tool, not a girly fashion statement! The foam shows marks, but springs back. Rolling and unrolling it is easy and the elastic harness holds it neatly for carrying and storage if you are short on space. The price is spot-on and reflective of the quality. 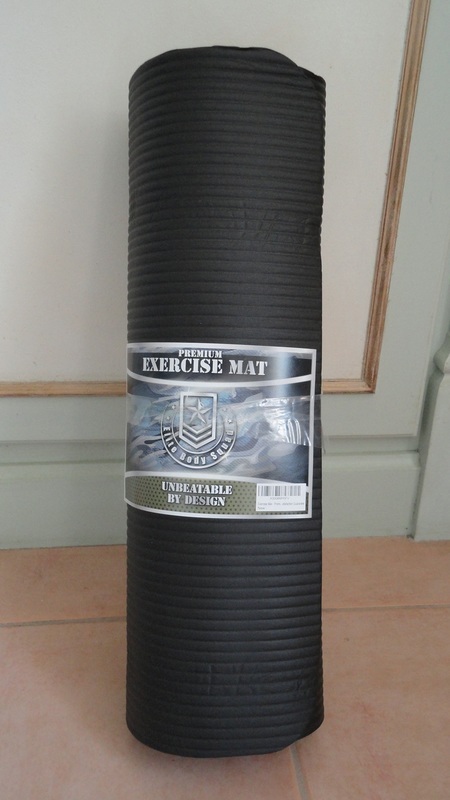 As I've learnt through experience, saving money on an exercise mat is not a smart idea. These super-absorbent microfibre towels have changed the way we dry our bodies. When I received my sample for evaluation and review, I knew it was going to be small. After all, it is a gym towel, not a bath towel. However, I was not prepared for how light it is, even inside its beautiful waterproof bag. The dimensions are 45 cm x 90 cm (18 x 36 inches) and the thickness is minute. In my pool bag, it takes up almost no space and adds a fraction of the weight of my regular towels. The feel is like the softest chamois. 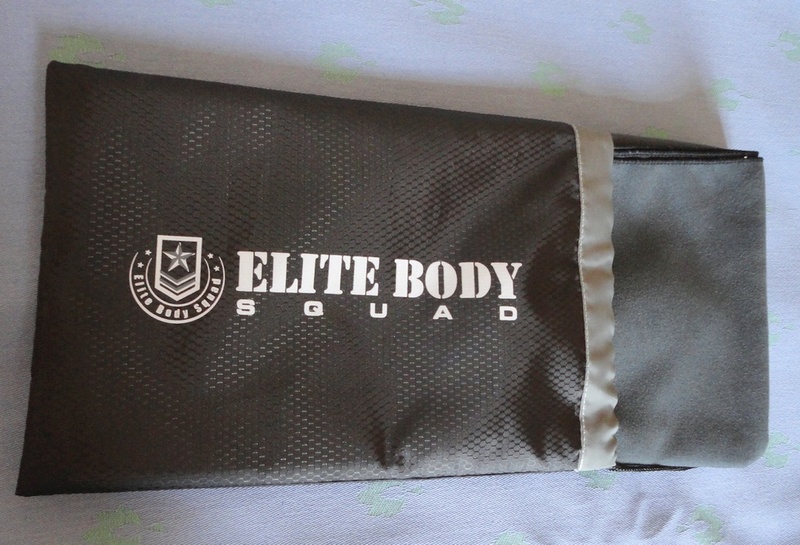 Like other Elite Body Squad products, it is a smart black (or maybe a dark charcoal grey) with the logo printed in white, whereas the nylon bag is black, trimmed in silver grey with the logo in lightest grey. All very understated and classy. Anyway, the towel … to test it I took it along to the pool and dried myself after emerging, dripping, from the water. Draped over the back of a chair, half an hour later it was dry! Another day, after drying myself with it straight from the shower, I then wrapped it around my head. Well, genius! It's absolutely the best hair drying towel I've tried so far! Not only did the fabric extract more water than I thought possible out of my long hair, the wrapped towel stayed on my head without budging for twenty minutes while I went about doing things, having forgotten my temporary headgear. Unlike terry towels, it doesn't weigh me down or fall to the ground if I so much as twitch my nose. The microfibre clings to itself and remains securely in place despite my attempts to dislodge it by shaking my head. I also love that it stays soft after drying. 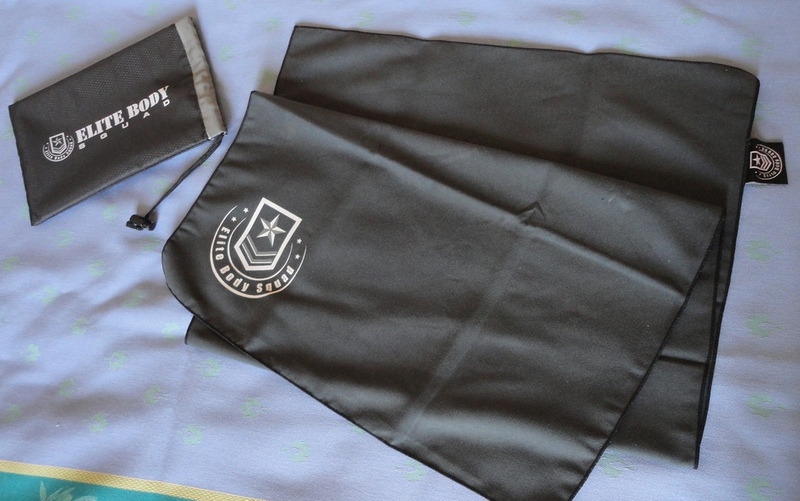 So this towel works beautifully for its intended use, as a sweat remover for my husband while he exercises, and can adequately dry an adult body out of the pool or shower. However, I have now claimed it for my own as a head wrap over dripping hair.